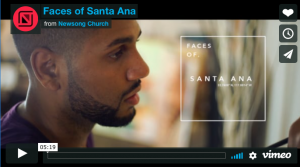 Faces of Santa Ana from Newsong Church on Vimeo. is the greatest agent for bringing needed change and healing into the world. This is the title of a talk by Mark McCurties CS. Not a painter, but a Christian Science Practitioner who specialize in the application of Love. Sponsored by: The Christian Science Church in Rancho Santa FE. This information was forwarded to you from the Christian society of Encinitas. If you would like to receive information from our Christian Science Society of Encinitas which includes notices about our events and services, please enter your email address to the right in the subscribe window. It is free, and you will then be sent an email to confirm your subscription. This entry was posted on Saturday, November 17th, 2018 at 6:03 am	and is filed under News. You can follow any responses to this entry through the RSS 2.0 feed. You can skip to the end and leave a response. Pinging is currently not allowed. « Tonight, Thursday November 15th, 2018 Nathan James will be returning for our 3rd Thursday Concert. There will also be Free Pizza and a gratitude meeting with Inspirational readings before hand. Tonight, Thursday March 21, 2019 Adam Knight will be playing for our 3rd Thursday Concert. There will be Free Pizza and a gratitude meeting with Inspirational readings. Tonights readings are entitled “Meet the Marys”. Copyright © Christian Science Society of Encinitas. All rights reserved.